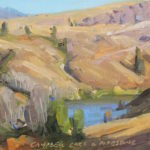 Accepting the challenge given by his mentor Jacob Lawrence, the Harlem Renaissance artist, “to do the thing you feel most passionate about”. 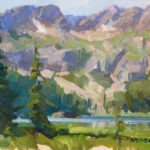 Rod Weagant has spent over 40 years trying to communicate the wonder he feels about our natural world. 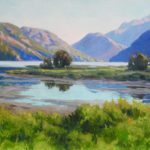 Through oil paint and canvas Rod has balanced his academic formalist background with the pure emotional response he feels when surrounded by the landscape of Alaska and the western US. 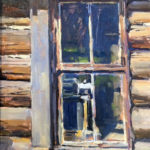 Living for 10 years in a cabin in the remote community of Haines AK deepened his commitment especially the need to document the landscape painting in plein aire and translating that information to his larger studio work. 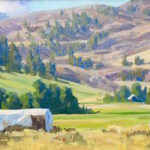 He currently resides in Twisp, WA. 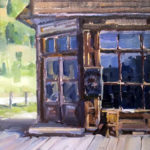 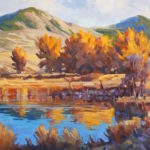 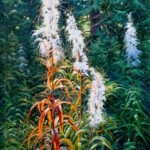 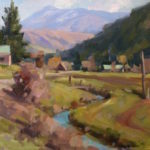 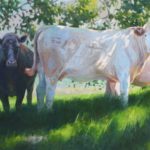 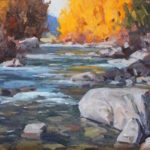 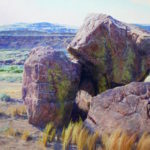 Rod has had over 45 one-man exhibitions including seven museums shows and conducts workshops in both plein air and studio painting.throughout the west.